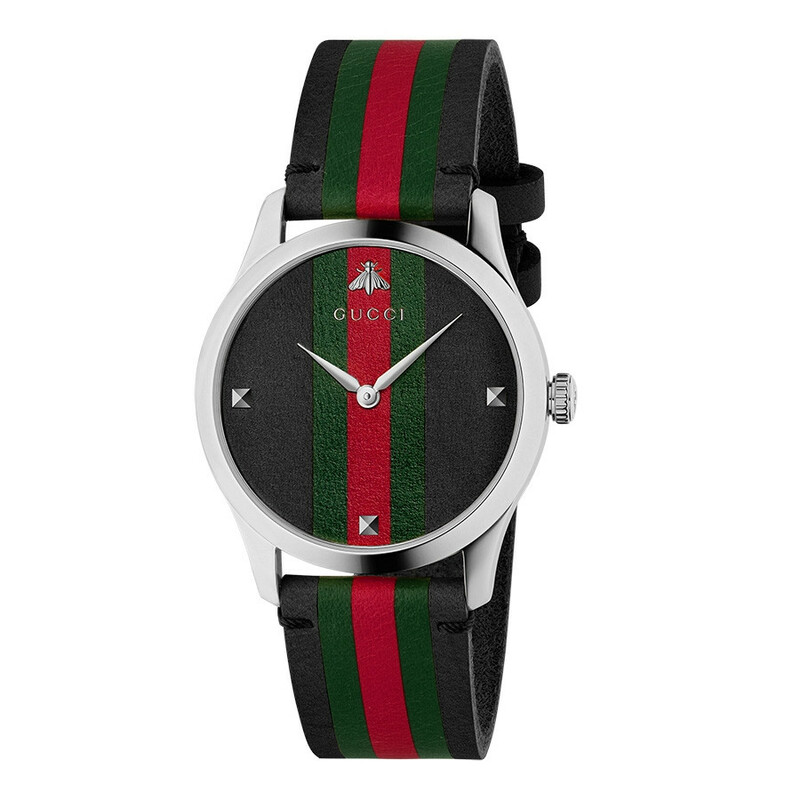 This sporty Gucci watch is rugged yet refined, featuring the iconic Gucci green and red colors on a nylon strap framed by black. 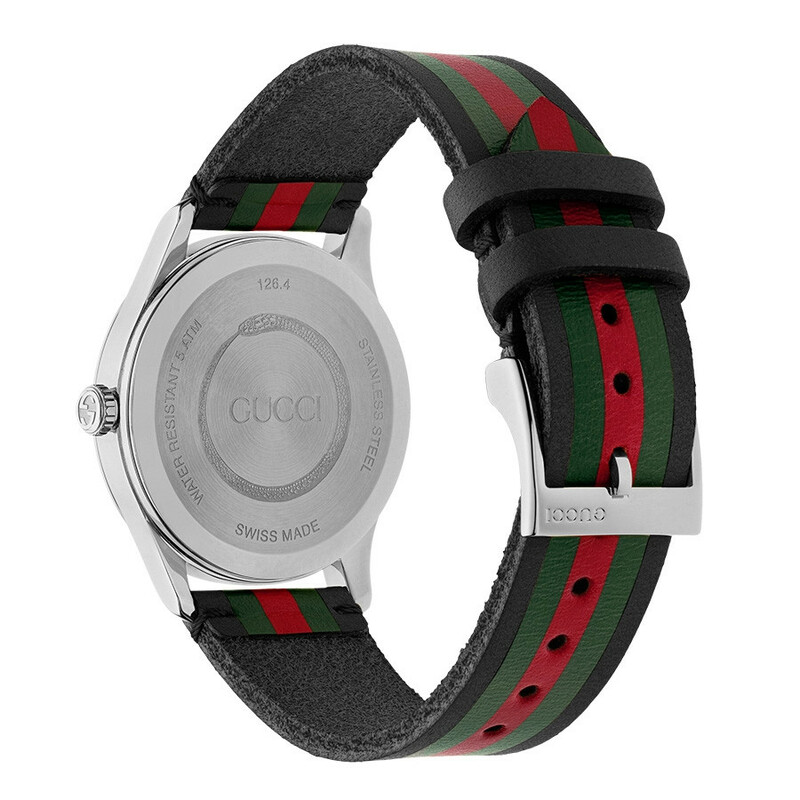 It also features a sapphire crystal face with anti-reflective coating, peering through to the colored stripes. 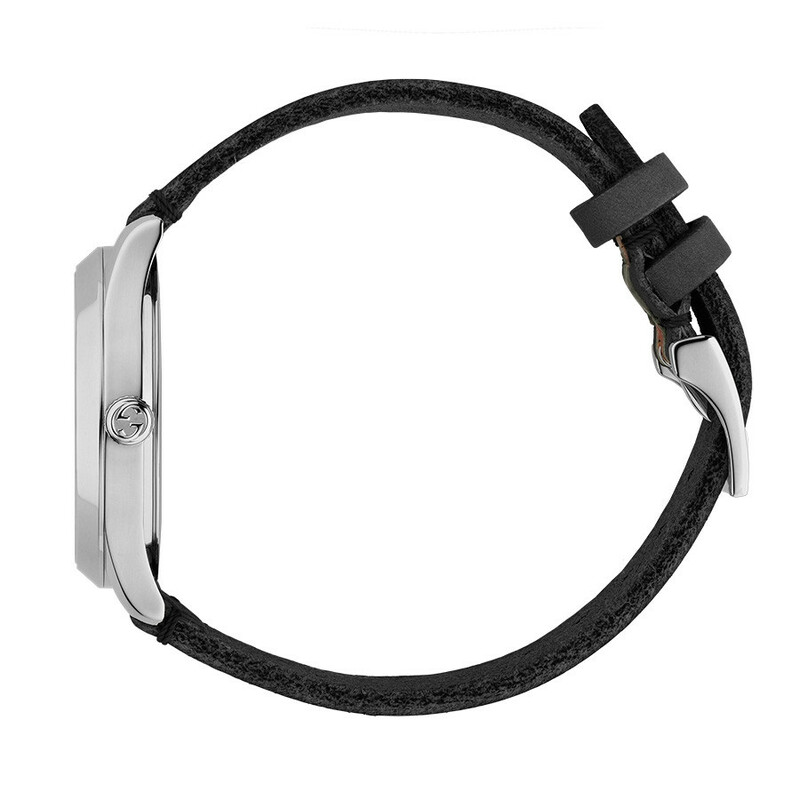 This watch is the perfect accompaniment for your daytime look, sporty yet sophisticated.